Ruthie's next-door neighbor and cunning ex-boyfriend, Luke Schrock, is drawn to trouble like a moth to a flame. Rebellious, headstrong, defiant, Luke will do anything to win Ruthie back--anything--and Patrick Kelly is getting in his way. An incredibly thought provoking Amish novel! 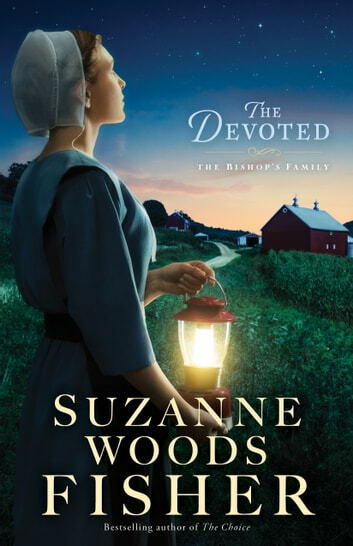 The Devoted by Suzanne Woods Fisher, third in The Bishop series is a charming and compelling look into the world of the Amish through the Stoltzfus family. Although part of a series, it is easily a stand alone novel that focuses on one of the Stoltzfus daughters, Ruthie, who at seventeen feels like a bird trapped in a cage. Can she find what she is looking for in the Amish way of life or will she follow in her aunt's footsteps and have a career as an outsider? Luke is Ruthie's on again, off again romantic relationship and yet Luke has deep-seated issues. What will it take to scare the sin out of Luke? The unflappable Canadian, Patrick, longs to find a simpler way of life and has come to learn the Amish way. Will he fit in or give up once he realizes the simple life is not easy. And the Bishop, David, what a strong character with a steadfast faith in the way of God and deep concern for his people. How can he help his community remain whole and healthy, and maintain their willingness to put each other first? The author has an exceptional gift for character development and storytelling and The Devoted is a wonderful example of both. The characters are amazingly realistic and the story pulls the reader right in, wondering how things are going to work out for this family. Fisher takes the rather weighty issues of alcoholism, serious illness, and teenage rebellion and threads them through with a strong faith in God and a hope that doesn't disappoint. Hope and trust in God...understanding their connection will bring one to a profound desire for lifelong obedience to a God who loves His children and calls them to holiness. I received a complimentary copy of this book from Revell Publishers through NetGalley in exchange for an honest opinion. Third book in The Bishop's Family series! The Devoted by Suzanne Woods Fisher is the third book in The Bishop’s Family series. 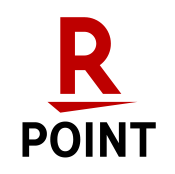 Ruthie Stoltzfus is seventeen years old and living in Stoney Ridge, Pennsylvania. Ruthie knows she wants something more. She even took the GED without anyone knowing. She is inspired by her aunt, Dr. Ruth Stoltzfus. Ruthie just needs to figure out exactly what she wants. Patrick Kelly has come from Canada and is determined to become Amish. He wants to totally immerse himself in the culture and has given himself thirty days to learn everything he needs to know to become a good Amish person. He has hired Ruthie to teach him Penn Dutch. Ruthie enjoys spending time with Patrick. He is different from Luke Schrock, her ex-boyfriend. Luke does not like seeing Ruthie with someone else. But Luke is not ready to settle down. He has too much fun drinking and getting into trouble (which is why he is an ex-boyfriend). Dr. Ruth is having some problems of her own. Thanks to her boyfriend, Ed Gingerich she is now out of job. Dr. Ruth now has the chance to take over Dr. Max Finegold’s practice in Stoney Ridge. Dr. Ruth ran away from this town when she was younger. Is she ready to come back? Will the Amish community accept Dr. Ruth as their new doctor? Life is never dull for the citizens of Stoney Ridge. The Devoted was an enjoyable book to read. It is a heartwarming novel with enjoyable characters, nice setting, and good messages. The Devoted cannot be read alone. In order to understand the characters and their dynamics, you need to read the other novels in the series (otherwise, you will be confused). The novel is well-written and has a sweet ending. The Devoted deals with alcolhism, teenage growing pains, illness, love, faith and much more. Scripture verses are sprinkled throughout the novel to help reinforce the messages (sometimes it is a little preachy). I give The Devoted 4 out of 5 stars (I liked it). If you enjoy Amish novels, I recommend The Bishop’s Family series. I look forward to reading more books by Suzanne Woods Fisher in the future.